Whether your dog expels nervous energy through barking, destruction, or shivering– anxiety in pups is no fun for everyone involved. Many dogs can get nervous and can be especially scared around loud, sudden noises (like explosive fireworks, party horns, clanging pots and pans, etc). Sometimes, the “acoustic violence” these noises produce (especially during the holidays) can cause long-term trauma for pups. Remember, dogs hear sound on a range of frequencies much larger than what humans detect, and their sensitive hearing picks up sound from far away. That means those pinprick popping fireworks are actually booming, and the talk and laughter of your party guests is really quite stressful. 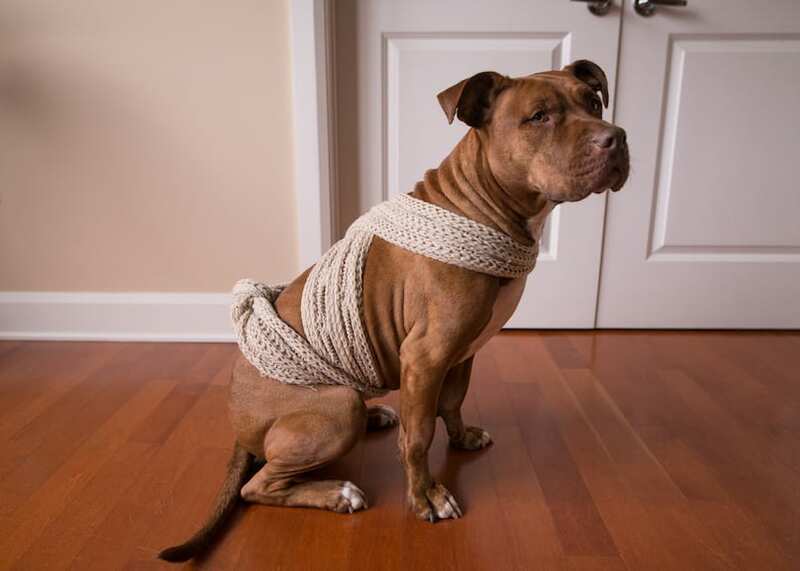 There are many products out there that can help your pup feel more relaxed, but you might already have a simple fix in your home right this second: a scarf. Ever hear of a Thundershirt? 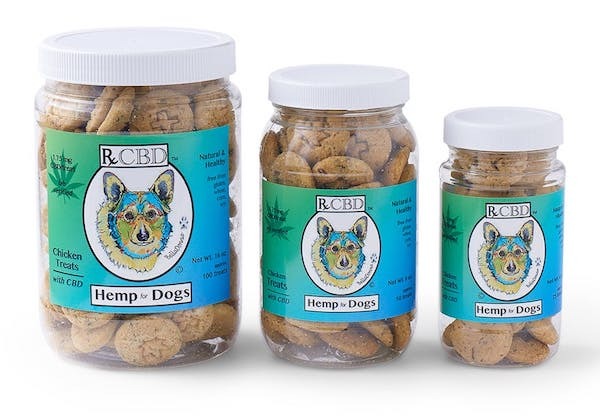 This product is legendary amongst dog lovers and is one of those things where you shouldn’t knock it until you try it. The snug fit of the ThunderShirt has a calming effect on dogs, similar to the effect of swaddling a baby. To help your dog feel calmer during these stressful situations, you can actually use a bit of fabric to create a swaddle of sorts to help your pup with their anxiety. 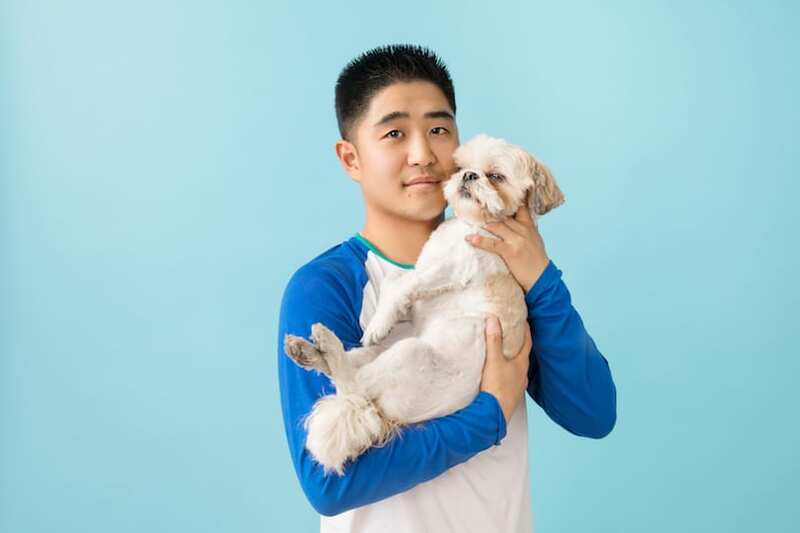 Garb your pup when you most expect them to experience anxiety (like a thunderstorm or car ride) and the hug-like effect of the shirt soothes the dog, decreasing anxiety. We suggest using a scarf (length depending on the size of the dog), but really any stretchy piece of fabric will do. 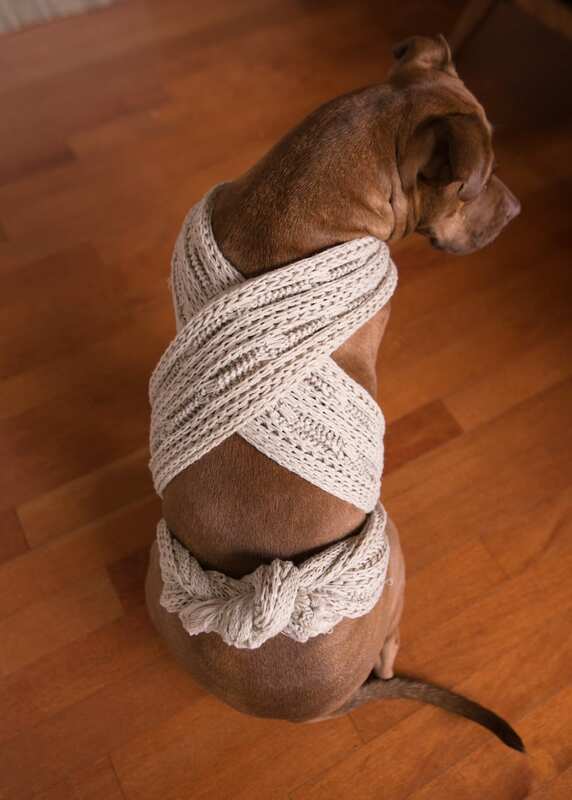 Simply place the center of the scarf across the dog’s chest and cross the ends over the shoulders. Next, cross those ends beneath the chest and bring back up, tying in a secure knot away from the spine. The scarf should be snug, but not constricting. Much like how a ThunderShirt works, the slight pressure around the body (like a constant hug!) is supposed to deliver a calming effect, or at least take the nervous edge off. This DIY option is on hand in a pinch, and could very possibly save your pup from unnecessary discomfort. 1. Take your dog on a good, long walk during the afternoon to shed some layers of anxious energy before the night. 2. Consider asking your neighbors to skip the firecrackers around times when they’re usually lit (or at least do it away from your house). 3. Before the commotion starts, make sure your dog has eaten, and always has access to plenty of water. 4. Have a “safe spot” set up in a quiet room. Place your dog’s bed inside, or a blanket and a few toys. Don’t be worried if your pup needs to escape the ruckus; that safe spot is the best place for him. 5. In the safe room especially, but preferably all over the house, shut the curtains and consider playing some calming music to produce the most relaxed environment possible. Soothing essential oils like lavender dabbed in between their shoulder blades (or through a diffuser) can also have a relaxing effect. Every dog is different, but remember a confident, calm human, combined with positive reinforcement can go a long way. Your dog looks to you when they’re unsure, so conveying reassurance goes a long way to helping them overcome their fears! How Do I Make Sure My Dog Is Safe When I’m Away? Can Dog Toys Reduce Anxiety?